These powerful and arresting color photographs, taken over a six-year period through Humvee windows and military-issue night vision goggles, capture the desolation of a war-ravaged Iraq as well as the tension and anxiety of both U.S. soldiers and Iraqi civilians. 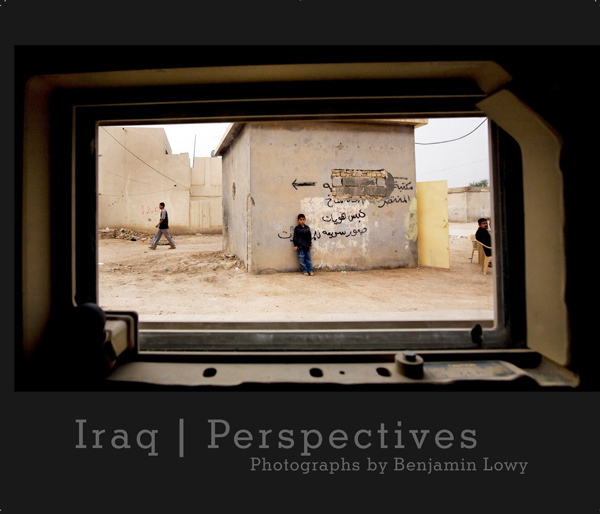 To photograph on the streets unprotected was impossible for Lowy, so he made images that illuminate this difficulty by shooting photographs through the windows and goggles meant to help him, and soldiers, to see. In doing so he provides us with a new way of looking at the war—an entirely different framework for regarding and thinking about the everyday activities of Iraqis in a devastated landscape and the movements of soldiers on patrol, as well as the alarm and apprehension of nighttime raids.